A major new finding about obesity shows that the problem is getting much worse, not better, and authorities are trying to understand why. Everyone knows that America has a major obesity problem, but an astonishing new report from the Centers for Disease Control and Prevention found that the epidemic is getting far worse, not better. The report shows that obesity has hit a new high, with nearly four in 10 American adults and two in 10 children of being obese, based on data from 2015 and 2016. The findings, released earlier this week, are way up from when adult obesity rates were at around three in 10 adults in 1999-2000, and 13.9 percent in 1999-2000 compared to 18 percent in 2015-2016. In 1976 and 1980, just 15 percent of adults and 5.5 percent of children were in the obese range in terms of body mass index, meaning that obesity has tripled since Ronald Reagan was president. Scientists aren’t sure what has caused such a dramatic spike despite public health education efforts to stem the epidemic, and a surge in popularity for healthy alternatives to fast food, but the finding is certainly cause for concern. “What was the prevalence of obesity in adults in 2015–2016? 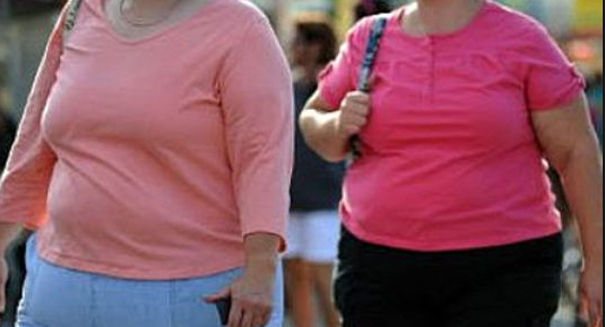 The prevalence of obesity among U.S. adults was 39.8% (crude),” the CDC statement reads. “Overall, the prevalence among adults aged 40–59 (42.8%) was higher than among adults aged 20–39 (35.7%). No significant difference in prevalence was seen between adults aged 60 and over (41.0%) and younger age groups.